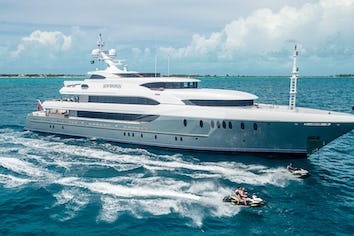 “MARAYA” which translates as “many mirrors” is the newest launch to hit the charter industry. 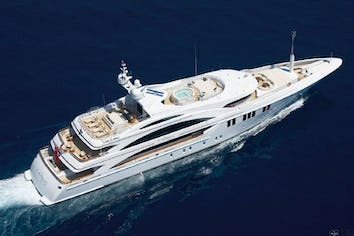 This 2008, 54m motor yacht offers the very latest innovations in technology along with the rich and luxurious comforts expected from a charter vessel and an abundance of both internal and external spaces for her guests to escape, relax and fully enjoy their freedom onboard. 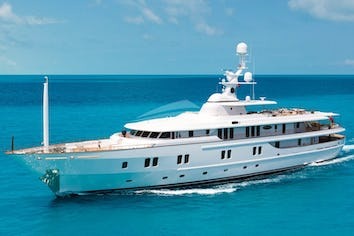 MARAYA can accommodate 12 guests in 6 cabins. The Master cabin has a king size bed, bath/tub, shower and toilet. 2 Double cabins have a double bed, shower and toilet. A VIP cabin has a queen size bed, shower and toilet. A Starboard Twin cabin has a double bed, a single bed (used for extra staff, such as nannies), shower and toilet. A Port Twin cabin has a twin bed, a pullman (used for extra stafff, such as nannies), shower and toilet. MARAYA is fully air conditioned through out. Crew has a separate heads and shower.